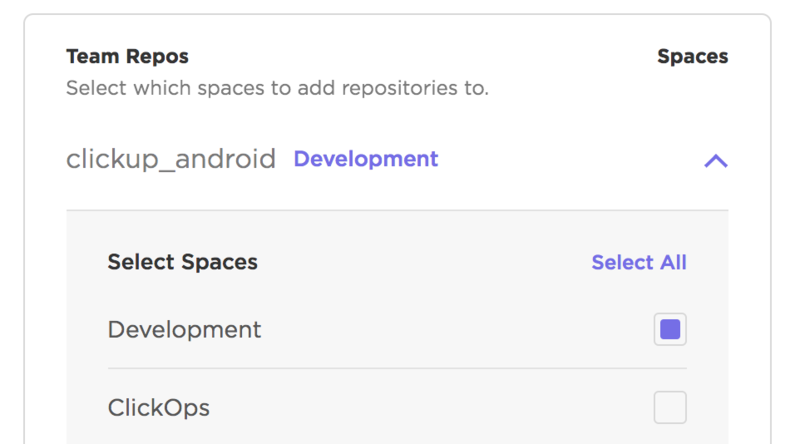 Not sure the difference between personal and team repositories are in ClickUp? These are repositories that you personally have access to in GitHub. 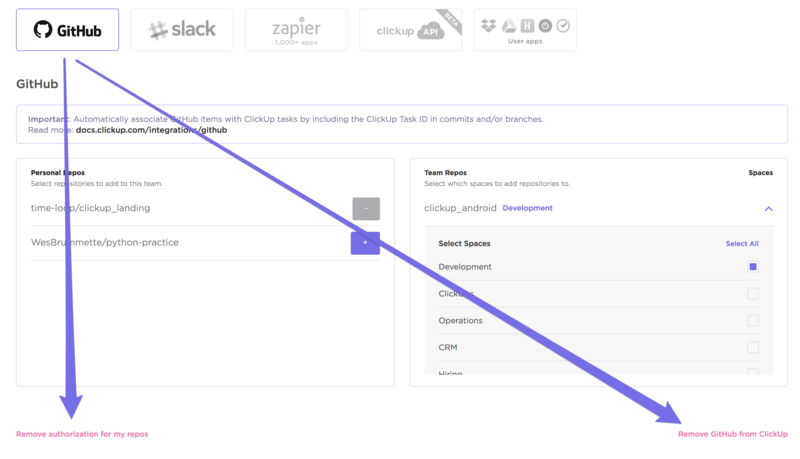 The first step in setting up our GitHub integration is authorizing ClickUp's access to these repos so that you can bring them into your ClickUp team's repos. Note: In order to use Github repos in ClickUp, they must be added to your ClickUp Team Repos. According to the image above, the Development Space now has access to the clickup_android repo which was previously authorized by a member on the team. Sometimes, you might accidentally connect with the wrong GitHub account - or maybe there's been an issue with the connection. In this case, you might want to disconnect and reconnect your repos or your entire account. If you have further issues, don't hesitate to let us know at help@clickup.com - we're happy to help! Need to troubleshoot with a Github representative? Click here.